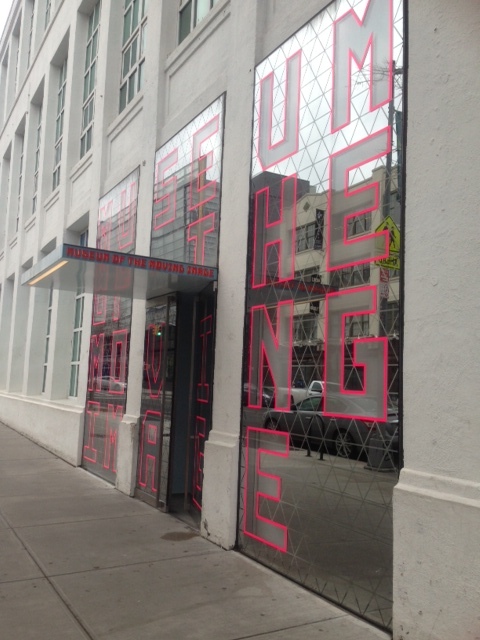 I finally had a chance to visit the Museum of Moving Image in Astoria, Queens. It is free on Friday nights from 4-8pm. 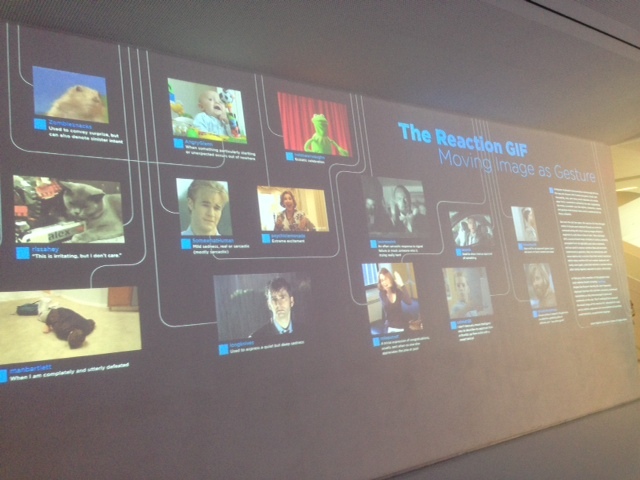 When first walking into the lobby, there’s a huge wall of moving images from famous movies & television shows, titled “The Reaction GIF – Moving Image as Gestures,” with cleverly worded tags about each. It featured key scenes from The Muppets, Liar Liar, Tina Fey, Oprah, Dawson’s Creek and many more. 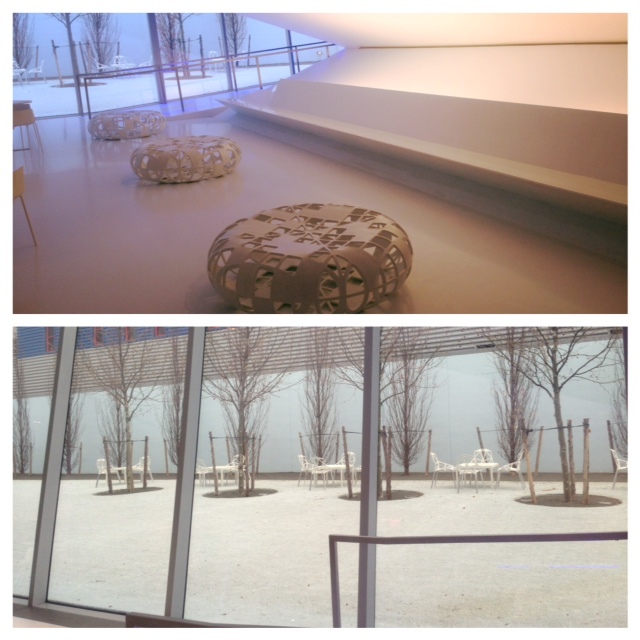 Beyond the wall, there is a lovely snow white café area and outdoor courtyard (closed for the season) with a minimalist and simplistic beauty. The second level boasts a large screen that shows scenes from older films and previews from newer movies. 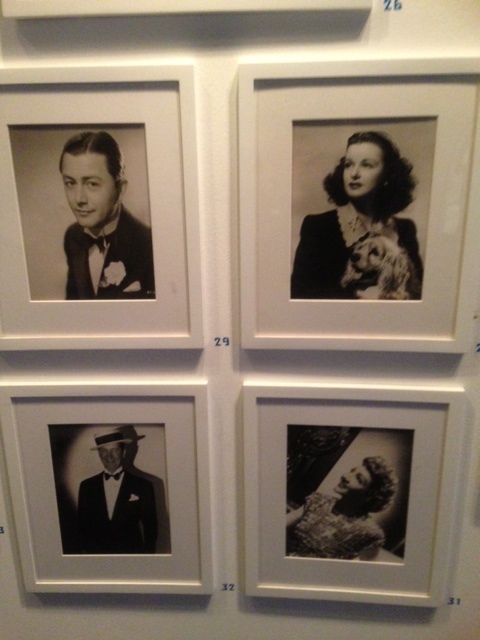 Then a wall full of gorgeous black and white head shots of classic actors and actresses. The lighting and level of photography for each image was superb. 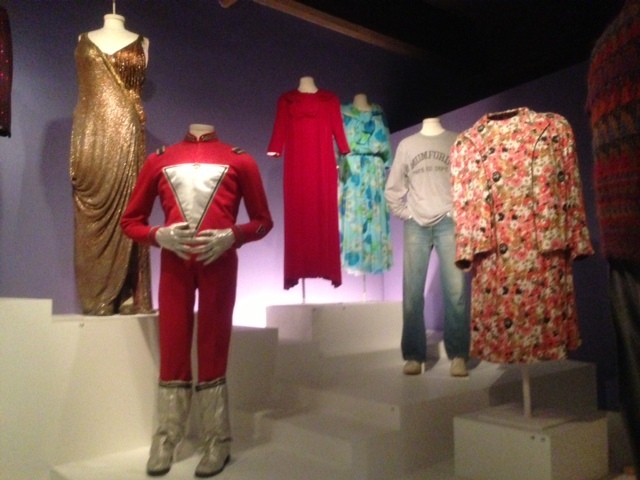 Next, there was a section featuring costumes and outfits from famous movies, which brought back memories of each movie. 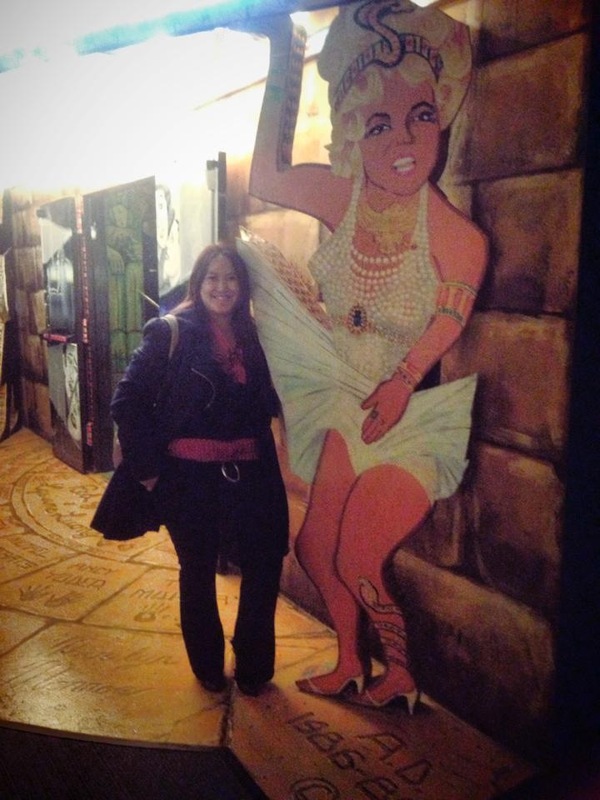 There were also famous masks, displays of makeup, horror movie memorabilia from actual movie sets. There were also set models for different scenes and specific movies. 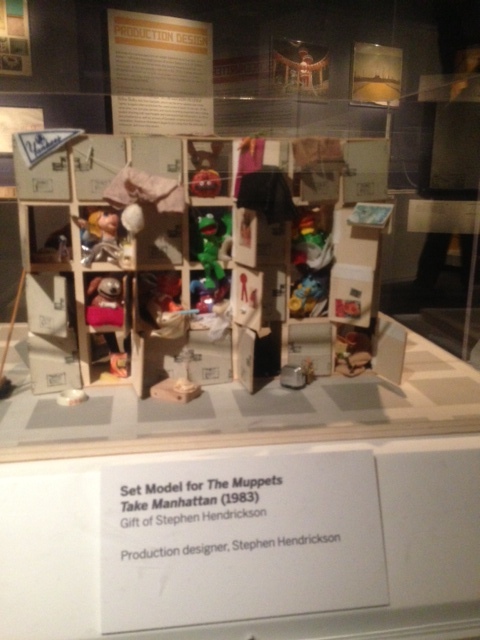 Below, is the adorable set model for the Muppets Take Manhattan! 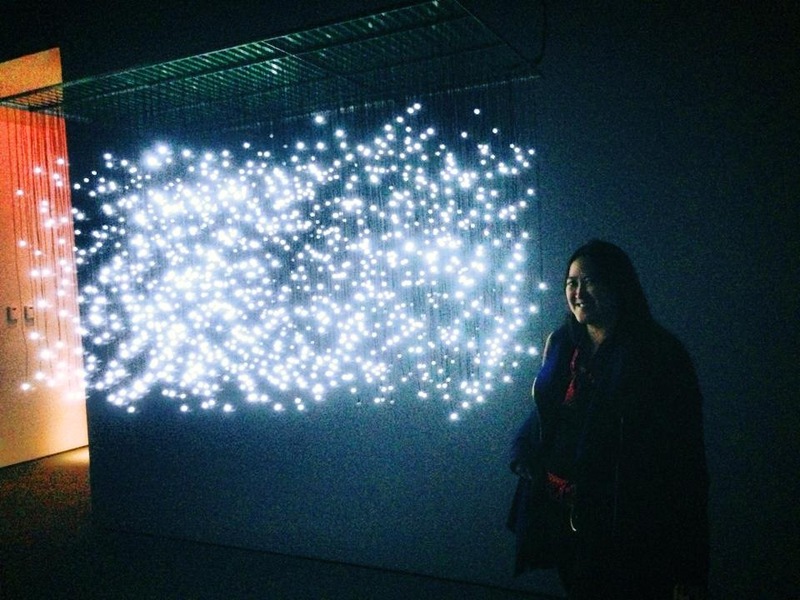 One of my favorite exhibits was this gorgeous set of bright glittering lights that have the appearance of people walking by as you walk further away from it. 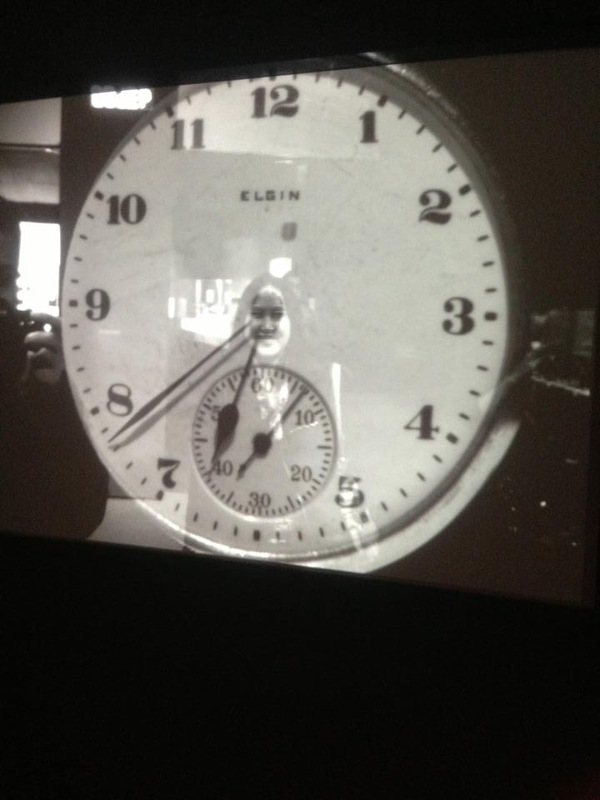 Another favorite was this huge black and white clock that has a camera connected to it so that when you are in front of the clock, you can see a photograph of yourself within the clock. 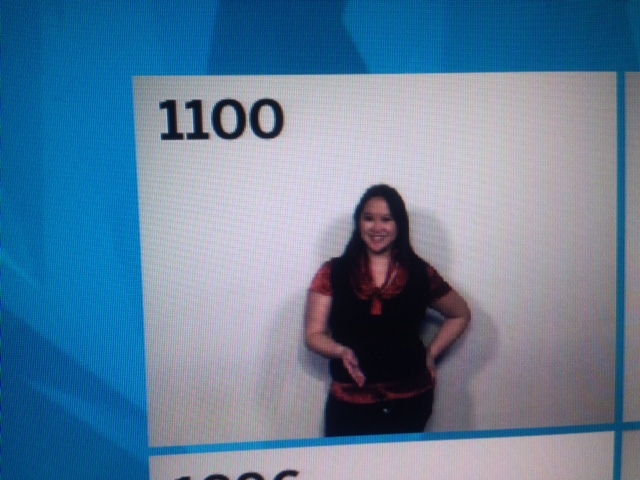 I also loved an interactive exhibit that allows you to record a 5 second video of yourself that can then be turned into your own personal flip book. For my video, I blew a kiss, did an awesome spin (getting some great hair in the wind look) and ended with a hair flip. The customized flip book is around $11. After that, we stopped by one of the rooms to record our voice so we could hear it played in a popular movie. 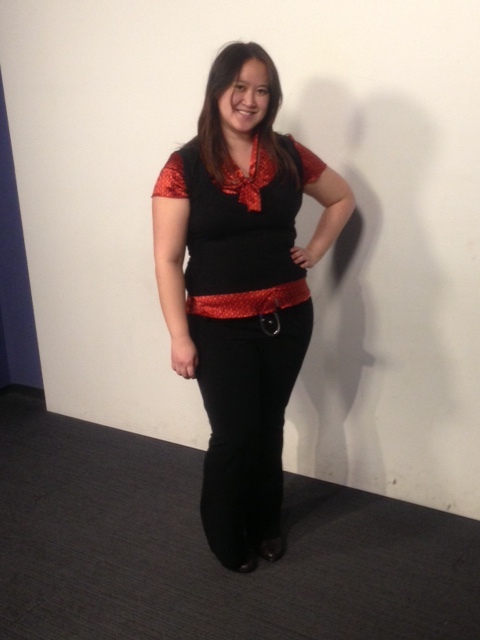 I chose Dorothy in “Wizard of Oz.” It was a lot of fun and I actually sounded like the actual Dorothy! 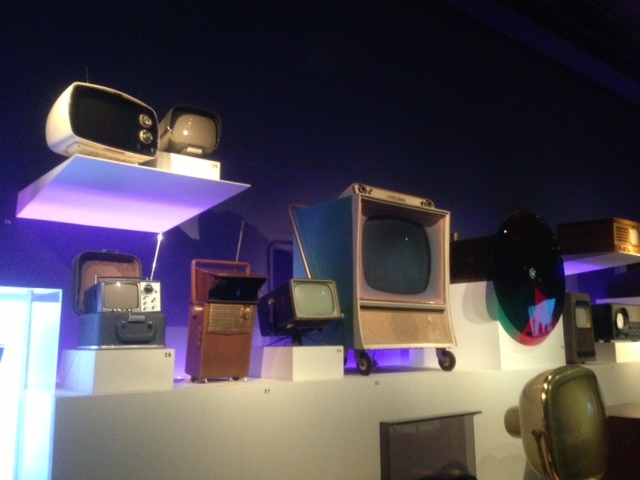 Then we saw a whole display of old-style TV sets, bathed in cool purple light. 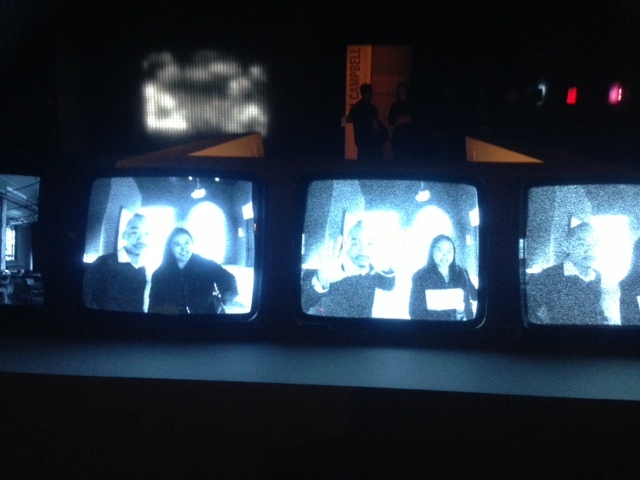 There was also a set of 6 mini TV’s projects your image onto the screen and starts off clear then fades out slowly on each subsequent television screen. 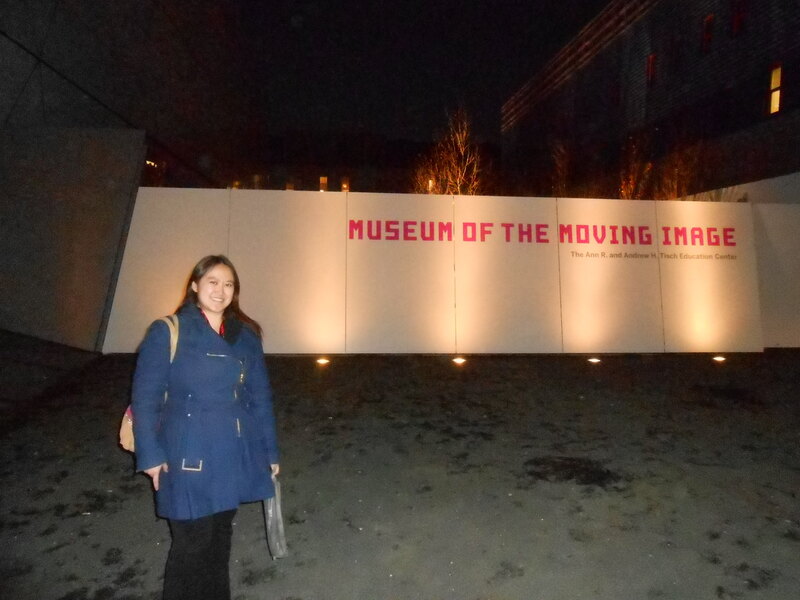 Overall exploring the Museum of the Moving Image was a wonderful, interactive and fun experience. I would definitely recommend checking this place out! I was there with a meetup group some time back; it might be my favorite museum.